The Conference will feature a distinguished range of speakers including leading crime writers as well as local authors. Was born and brought up in Oxford. She has published 34 crime and suspense novels, including the Penny Wanawake series and the Cassandra Swann bridge series. She has also written many stand-alone novels, among them Losing Nicola and, most recently, A Final Reckoning. The Colour of Hope was an international best-seller and translated into many languages. Her novelization of the Gold Blend coffee ads, Love Over Gold, reached the Sunday Times best-seller lists. Sadly, it was written under a pseudonym! She is a past Chairman of the Crime Writers’ Association, a member of the Detection Club, a past Writer-in-Residence at the Universities of Tasmania and Copenhagen, and a past President of the International Association of Crime Writers. She and her husband divide their time between south-west France and south-east Kent. Alison Baillie’s first book, Sewing the Shadows Together, is a murder mystery set in Edinburgh, the Outer Hebrides and South Africa. It came out in 2015 and is inspired in part by her years working as an English teacher in Edinburgh. She has also taught EFL in Finland and Switzerland, where she now lives, but she comes back to UK as often as possible. Is an author and screenwriter who writes prime time TV drama for BBC1, ITV and US TV. His UK credits include The Inspector Lynley Mysteries, Holby City and The Mrs Bradley Mysteries. Vine, single mother and investigative journalist who specialises in miscarriages of justice. Has been Publisher of Estates at HarperCollins for the last 20 years. He and his team publish the works of Agatha Christie, as well as a number of Golden Age authors, including Ngaio Marsh, Francis Durbridge, Edmund Crispin, and The Detection Club’s books. Recent achievements include releasing the entire Christie canon in a popular facsimile edition, publishing her 1920s travelogue, The Grand Tour, two volumes on her ‘Secret Notebooks’ by John Curran, and the first Poirot continuity novel, The Monogram Murders by Sophie Hannah as well as Tom Adams Uncovered: The Art of Agatha Christie and Beyond. Has written over ninety-five books, many of them crime novels, including the Charles Paris, Mrs Pargeter, Fethering and Blotto & Twinks series. His stand-alone thriller A Shock to the System was made into a feature film, starring Michael Caine. Simon’s writing for radio and television includes After Henry, No Commitments and Smelling of Roses. In 2014 he was presented with the Crime Writers’ Association’s top award, the Diamond Dagger, and he was made an O.B.E. in the 2016 New Year’s Honours ‘for services to literature’. Acted as consultant to the National Trust during the renovation of Agatha Christie’s former home, Greenway House. His Edgar-nominated Agatha Christie’s Secret Notebooks (2009) won the 2011 Agatha, Anthony and Macavity Awards and he published Agatha Christie’s Murder in the Making, also nominated for the same awards, in September 2011. He completed his PhD, on The Golden Age of Detection, at Trinity College, Dublin where he lives. His most recent publication, Tom Adams Uncovered: The Art of Agatha Christie, was co-authored with the artist Tom Adams who painted over a hundred Christie book covers. Guy’s Death in Profile is the first in The Hampstead Murders series, contemporary stories written in the spirit of the Golden Age. Endorsed by leading writers such as Christopher Brookmyre, they offer the reader something very ‘different’ from the modern fare of hard-bitten noir. Previously Guy was best known for his Mapp & Lucia books, all three of which have been optioned by BBC television. Wrote four books under her real name, Domenica de Rosa, before her husband’s career change inspired her to write about forensic archaeologist Dr Ruth Galloway. Her agent told her she needed a ‘crime name’ so she became Elly Griffiths. The first Ruth book The Crossing Places won the Mary Higgins Clark award. The eight book, The Woman in Blue, was published in February 2016. Smoke and Mirrors, the latest in her 1950s theatrical series, was published in November 2015. Elly has been shortlisted for the Theakston’s Crime Novel of the Year three times. She lives near Brighton with her husband and two children. Best known as a writer of crime fiction, his work translated into more than twenty languages, John Harvey is also a dramatist, poet and sometime publisher. The first of his twelve Charlie Resnick novels, Lonely Hearts, was named by The Times as one of the ‘100 Best Crime Novels of the Century’. That’s the last century. He was awarded the Crime Writers’ Association Silver Dagger for Fiction in 2004, the Diamond Dagger for Lifetime Achievement in 2007 and the Short Story Dagger in 2014. He is currently adapting the final Resnick novel, Darkness, Darkness, for the stage. Is the author of three standalone thrillers, including Into the Darkest Corner which featured on Channel 4’s TV Book Club and won Amazon UK’s Rising Stars in 2011, and has been published in over 30 countries. She has also written two series novels featuring the Briarstone Major Crime team, led by DCI Louisa Smith, the latest of which, Behind Closed Doors, was published in paperback in January. Elizabeth has participated in National Novel Writing Month (NaNoWriMo) for the past ten years, and the drafts of all her novels are written during November. A former intelligence analyst for Kent Police, Elizabeth now lives in North Norfolk with her husband, son and Spanish stray dog Bea. Has worked as a bookseller, and with the Royal Navy. Her debut novel, Someone Else’s Skin, won the Theakstons Crime Novel of the Year 2015 and is a World Book Night selection for 2016. It was the Observer’s Book of the Month (“superbly disturbing”), a Richard & Judy Book Club bestseller, and has been published worldwide. No Other Darkness, the second in the series was published in 2015. The Marnie Rome series continues in 2016 with Tastes Like Fear. Is the author of the bestselling Duncton Wood fantasy series and Wolves of Time books, among many others. He worked as a freelance financial journalist for trade magazines and national newspapers until he joined the Daily Mail as editor of Money Mail. His first novel was published in 1980 and he has been a novelist ever since. William was raised in Deal and his critically acclaimed memoir, The Boy with No Shoes , describing his 1950’s childhood, is set in the town. He is 2016/2018 Chair of the Society of Authors. Served as a soldier and Metropolitan Police officer for 25 years. Blown off his feet at the London Baltic Exchange bombing in 1993, and one of the first police officers on the scene of the 1983 Regent’s Park bombing, Matt was also at the Libyan People’s Bureau shooting in 1984 where he escorted his mortally wounded friend and colleague, Yvonne Fletcher, to hospital. Hidden wounds took their toll. In 1999, Matt was discharged from the police with PTSD. While undergoing treatment, he was encouraged by his counsellor to write about his career and his experience of murders, shootings and terrorism, and his debut novel Wicked Game is the result. Peter James says, ‘Terse, tense and vivid writing. Matt Johnson is a brilliant new name in the world of thrillers. And he’s going to be a big name’, while Sir Ranulph Fiennes calls it ‘A magnetic and completely absorbing read’. 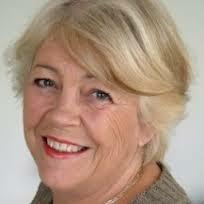 Is a London-based crime writer and award-winning radio dramatist. After a career in television documentaries, she began writing full-time with the first of the Sister Agnes series of crime novels. Sister Agnes is a contemporary detective nun working in a homeless hostel in South London. The most recent, A Violent Act, is about fathers, daughters and creationism. Alison also writes a police series, featuring Detective Inspector Berenice Killick and set in Kent. The first, called Dying to Know, is all about particle physics. Her new series is set in the 1920s and features (a fictional) Agatha Christie as a detective; the most recent is Hidden Sins, (Endeavour Press.) Alison is a member of Killer Women, and was Chair of the British Crime Writers Association from 2013- 2015. Is a commentator on European films, TV, and literature. A longstanding appreciation of European culture started at an early age after seeing The Singing Ringing Tree and Kenneth Williams read Nils-Olof Franzén’s Agaton Sax stories on Jackanory. He has written for Scan Magazine, Nordic Noir and Beyond and academic journals. He is currently researching a book on Nordic cinema. He runs the blog Euro But Not Trash (https://eurodrama.wordpress.com/). He is@AndyLawrence5 on Twitter. Is the internationally bestselling author of three crime novels – The Wicked Girls, which won an Edgar Allen Poe award, The Killer Next Door, which won the Macavity award for Best Mystery Novel 2015, and the acclaimed The Darkest Secret, which was published in January. Before turning to crime, she worked as a journalist across the national press for a decade, and had four books – two dark romantic comedies, a modern Gothic and an old-fashioned ghost story – published under another name. She has also worked as a crossword editor, a door-to-door salesperson, a barmaid and a fortune teller, and once learned the art of hypnosis from Paul McKenna, which comes in handy when reading tarot cards. She lives in London, and mostly works in bed. Is a commentator on all things crime fiction related. She has been reading crime fiction for over forty years. She also writes articles and gives papers on all aspects of the crime and mystery genre. She is a member of the Crime Writers Association of Great Britain (CWA) and is currently Chair of the CWA Short Story Dagger. She also writes for Crimespree Magazine and is currently one of the Judges for the Nagio Marsh Award. She can also be found reviewing at Shotsmag.co.uk and runs the Shotsmag Confidential blog (Shotsmagcouk.blogspot.co.uk). When she is not involved in crime fiction then she works with senior judges at the Supreme Court in London. William’s Captain Korolev Novels have been shortlisted for numerous awards, including the Theakstons Crime Novel of the Year, The Kerry Group Irish Fiction Award, the Ellis Peters and John Creasey Daggers and the Irish Crime Novel of the Year (twice). Sadly he never wins but they have helped his novels be published in 18 countries. William teaches on the Crime Writing Masters at City University in London and his latest novel The Constant Soldier will be published in 2016 by Macmillan. Is a lawyer and features writer from New Zealand, now living in London. He began devouring mystery tales as a child, starting with the Hardy Boys, Poirot, Sherlock Holmes, and Agaton Sax. Over the past few years he has reviewed several hundred crime and thriller novels for dozens of national and regional newspapers, lifestyle and specialist magazines, and websites in Europe, North America, and Australasia. Craig loves talking with others about crime writing, and has interviewed almost 150 authors, onstage or for print and online features. He has appeared at numerous books festivals, spoken on national radio about the genre, and is the founder of the Ngaio Marsh Award for Best Crime Novel. He is also the creator of the Crime Watch blog, and the ‘Murder in the Library’ event series in New Zealand. Is a crime and historical novelist, winner of the Cartier Diamond Dagger of the Crime Writers’ Association and other awards. He is the only person to have won the Historical Dagger three times. His books include the international bestseller, The American Boy (a Richard and Judy selection); the Roth Trilogy (filmed for TV as Fallen Angel); the Lydmouth Series; Bleeding Heart Square; The Anatomy of Ghosts; The Scent of Death, set in eighteenth-century New York; The Silent Boy, set in the French Revolution; and The Ashes of London, which deals with the Great Fire of London and its immediate aftermath. “I went out to work one day and came home two weeks later wearing the same clothes and with fifty-six people dead.” With twenty years’ policing experience, including counter-terror operations and organised crime, David was a lead Met detective on the intelligence cell during the 7/7 London bombings investigation. His debut thriller, The Theseus Paradox is based on the events of that time. Its secrets were probed by the UK’s leading investigative journalist, Andrew Gilligan, and featured in the Sunday Telegraph, the Mirror, The Sun and on ITV News. The book topped its Amazon category within a month of launch and was acclaimed by numerous independent review websites – five of which listed it in their top books of the year. Whilst a Scotland Yard investigator, David chased numerous dangerous criminals, searched hundreds of properties and interviewed thousands of witnesses. Now a security consultant for high-net-worth individuals, he’s also a regular media commentator on crime. Is the author of In Bitter Chill set in the Derbyshire Peak District. She is an online book reviewer whose blog, Crimepieces (www.crimepieces.com), reviews the best of current crime fiction published around the world. She is also a judge for The Petrona Award for translated Scandinavian crime novels. Her second novel is out in September. Was born in Baltimore and attended the same high school as Dashiell Hammett. He went on to study International Relations on a US Army scholarship and served as a Special Forces officer in Vietnam. His decorations include the Army Commendation Medal with ‘Valor’ V, the Bronze Star and the Combat Infantryman’s Badge. After leaving the Army, Wilson became an expatriate and gave up US nationality to become a British citizen. He has also lived and worked in Germany and France. The author has lived in Suffolk since 1976. He was a college lecturer and school teacher for 30 years. He is a keen vegetable gardener and runner. He also enjoys fly fishing, sailing and wild swimming. He is the author of five previous novels: A River in May, The Envoy, The Darkling Spy, The Midnight Swimmer and The Whitehall Mandarin all published by Arcadia Books.